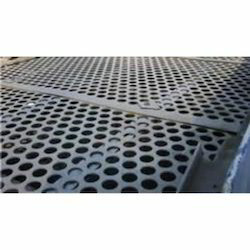 Another variation of the perforated metal sheets is the Perforated Sheet manufactured by our organization. 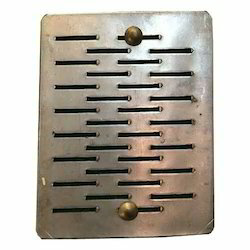 These are manufactured by punching oblong shaped slots in alternate and parallel rows on metal sheets. The types of metal sheet used are usually made using stainless steel or galvanized iron. 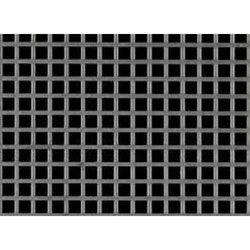 We offer our customers with a range of Stainless Steel Perforated Sheet that is precision-engineered, to ensure that the holes made are evenly distributed throughout the sheet. 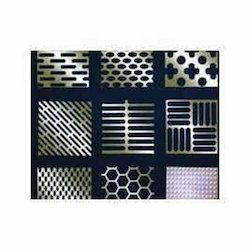 Acknowledged for being highly durability and resistant to corrosion, these Stainless Steel Perforated Sheets are manufactured using optimum quality stainless steel. 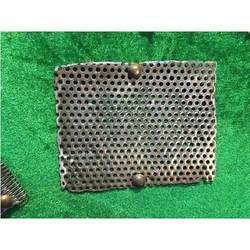 We are an affluent organization, offering a superior quality array of Round Hole Perforated Sheet that is manufactured using quality tested raw materials and the latest machines market quality standards. 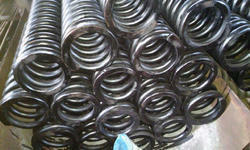 The offered sheet is widely demanded in fabrication industry. Available in enormous specifications, it is offered as per the exact necessities of our prestigious clients. Moreover, we provide this sheet at very nominal price to our dear clients. 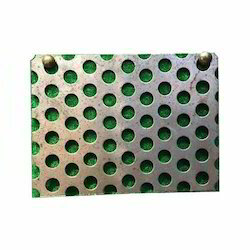 We have emerged as a leading organization, engaged in offering superior quality Oblong Capsule Perforated Sheet that is highly demanded in engineering and fabrication industry. 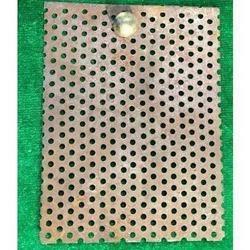 The offered sheet is manufactured using optimum quality raw materials and highly developed machines under the guidance of our deft professionals. Apart from this, offered sheet is made available at highly competitive prices to the customers. 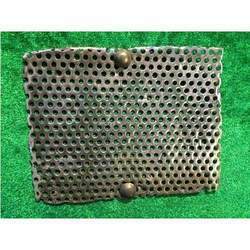 we are providing MS Perforated Sheets. Food Products: Processing , Straining & filtering Tea, Coffee, Flour, Rice, Starch, Corn, Fruit Juices, Sugar Etc. Separating: Chemicals, Seeds, Distillery,Grains sand Foods, Wastes etc. Paper Making : Waste Liquor, Strainers Centrifugal, Screen Plates, Screens for Pulp Refineries, Strainers for Pulp Refineries, Digester Relief Lines etc. Mining: Ore Separators coal Screening, Washing Screens, Grading Sand, Crushed Stone etc. Laundry: Washing Machines & Dryers, Storage Racks etc. Brewing: Sizing Grains, Filtering etc. Grill: Radiator, Speaker, Show Grill. Other applications are aesthetics in architectural and design applications such as facades, fixtures, and privacy panels. 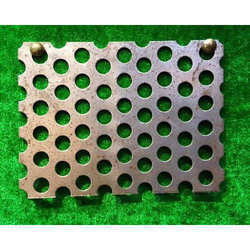 We offer a wide range of Square Hole Perforated Sheet punched in mild steel, galvanized, aluminium, stainless steel and special alloys. Perforated material has many potential uses to industry as well as to architects and designers because its practical and aesthetic features.